Frankly, activists and development agencies have simply given up on the poorest of the poor. 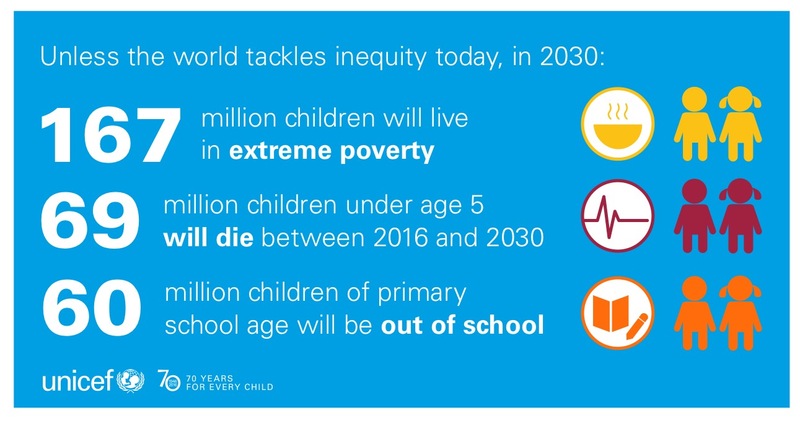 In the face of growing disparities, extremist polities, unprecedented inequality and insatiable greed, what chance do the children of humanity’s lowest quintile have? Branded and damned by an accident of birth. Ironic that millions live and die with their low ascribed status in an era which worships merit and achievement and makes billionaires of tech lords for a single innovation. Involvement of communities, businesses, organizations and citizens around the world who believe that change is possible. Five I’s to combat the big I – Inequality. However elegantly alliterative the Report may be, it doesn’t acknowledge one simple fact. The poorest of the poor across the world have not only become marginalized, but are increasingly redundant for the rest of us, our governments and our big businesses. The five I’s listed above will not happen, because it is in nobody’s interest to alleviate the lot of the most disadvantaged – as simple as that. India prides itself on developing and implementing the biggest biometric ID programme (Aadhar) for a billion-plus people, and provides the bulk of Information Technology’s foot soldiers across the world. Yet in its deep hinterland, millions of births go unregistered. Why? The Human Development Index was said to be the brainchild of a Pakistani and an Indian, yet neither country has been innovative or effective in integrating child development programmes, and both remain high on the malnutrition and illiteracy indices. Instead, tireless advocates of child rights like Kailash Satyarthi remain unheard and unknown until anointed by the Nobel Prize, when they are famous for a week and return meekly to obscurity, with nobody paying heed to their words anymore. Instead, the Indian Government goes so far as to legitimize child labour in family trades, washing its hands of millions of the most disadvantaged children in the country. Why? As regards investment, no country in this region is willing to step back from an unnecessary arms race, and invest instead in its women and children and their future. Why? All we need: political will and a social conscience… and the resources can always be found. I apicrepate you taking to time to contribute That’s very helpful.